Since the third week of April 2018, the people of Nicaragua have suffered from the most difficult confrontations since the end of the civil war in 1990. Ongoing clashes throughout the country continue today. Nicaraguans have suffered the loss of loved ones and their jobs, violence, as well as higher food and fuel rates. They are living with uncertainty, fear, financial difficulty, and an unknown future. Nicaragua has an incredible history of struggle, resiliency, strength, and hope. We have consistently been in awe of the dedication and hopeful spirit in people, families, and communities to build a better life for themselves and to get through difficult times. Only time will tell how the current crisis will play out in the coming weeks, months, and years. In the meantime we will continue to stand beside and support the communities with whom we work and from whom we have learned so much over the last 27 years. We have heard from our staff in Nicaragua that, while people are met on the streets with chaos, violence, and limited public transportation, the libraries and learning centers built and run by SOL staff and volunteers provide a calm space where community members can momentarily take a break from their daily struggles. Our staff continue to welcome children, teachers, and adults who come in for an afternoon of fun and learning. 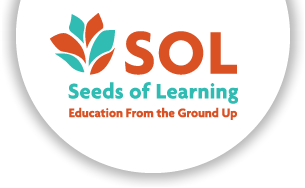 In addition, the emotional and logistical support our staff provide SOL scholarship students as they overcome new barriers to attend and graduate from school is all the more critical now, as they strive for a better life for themselves, their families, communities, and country. And at the same time, we continue to construct libraries and school classrooms with Nicaraguan volunteers in communities who dream of a better future. Our staff and volunteers tell us that their work with SOL provides a beacon of hope during this crisis. Given the heightened concern about safety, we decided to cancel the remaining 2018 summer work groups to Nicaragua, which meant a net loss of a quarter of our annual operating budget. We have cut tremendously in all areas we see possible, but we are committed to keeping our doors open and the lights on. Now is more important than ever and our staff, volunteers, students, and communities are counting on us. Thank you for supporting the work that we continue to do during this critical time of crisis in Nicaragua. If you would like to make a special donation to help us continue our work, please do so here.